The AP team spent a couple of days at Al-Udeid Base in Qatar on assignment. This massive facility in the middle of the desert is the hub for more than 50 US refuelling planes now active in the region and Operation Inherent Resolve would not be possible without them. 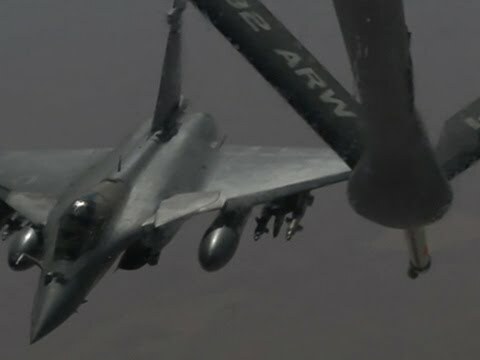 The 340th Expeditionary Air Refuelling Squadron is the largest combat flying squadron in the Air Force, which has conducted over 14,800 aircraft refuellings related to the campaign in Syria and Iraq in 2015 alone. We spent 7 hours circling the Persian Gulf and Northern Iraq with the squadron as they refueled US and coalition war planes in a KC-135 stratotanker.